on the boy's stern face. They caught Tian off guard. were lined up along the wall. 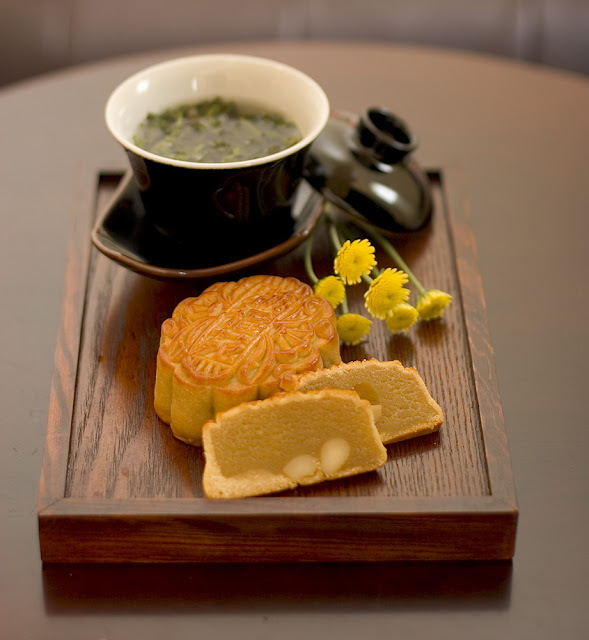 tea bowls, a single mooncake. the king beaming, Tian speechless. into little pieces, scattering crumbs. He handed the first piece to her. to his guards, poured tea. she'd end up in tears. "Who'll clear all this up?" "Captain Li will," said Xau. "The king will," said Captain Li. "You see?" said Xau. "He's lazy." smiling as if at a friend. Poet's Notes: This is a poem about King Xau, the fictional hero of my epic fantasy The Sign of the Dragon. Xau spends most of his time doing what he believes is best for his kingdom: meeting with his ministers, entertaining envoys, commanding his cavalry, etc. But he prefers the company of his family, his guards, and his elderly cleaning woman. In writing the epic, I tried to vary the point of view to present a broader perspective. This poem is one of three from Tian's point of view. I also tried to balance the darker, more serious moments with others where Xau has a chance to relax. More poems about King Xau may be found in Songs of Eretz Poetry Review http://eretzsongs.blogspot.com/search?q=Xau and at http://www.thesignofthedragon.com. Songs of Eretz Passes 250,000 Total Pageviews!